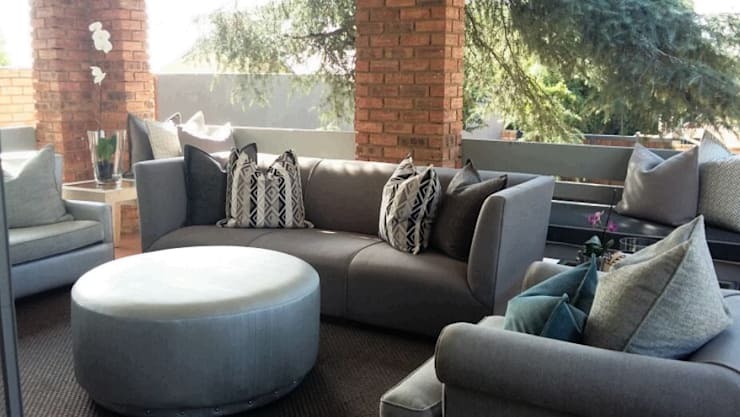 In this edition of homify 360, we visit a beautiful grey home in Johannesburg, South Africa. The exterior architecture of the house has a rustic and traditional design element, but the interior is filled with sleek and chic modern detail, neutral colours and a great deal of light. The home is spacious and luxurious, with everything from an outdoor patio zone for optimum comfort on a summer day, to a swimming pool that can be enjoyed by the residents, guests, family and friends. But, let's take a closer look. The entrance to this modern home has an attractive and welcoming design that will make guests feel as if they're in some fairytale setting. The stone walls creates an enchanting effect, while the lighting is cosy and comfortable too. The lions on either side of this entrance incorporates a guarded entrance design. A comfortable outdoor zone is part of the elegance and attractive charm of this home. It's a must-have space to enjoy a South African summer in style. The lovely seating area is spacious, warm and welcoming, and with the correct lighting, this terrace has an inviting charm too. The interior designers of this modern home opted for a neutral colour palette for the furniture, walls and even the accessories. 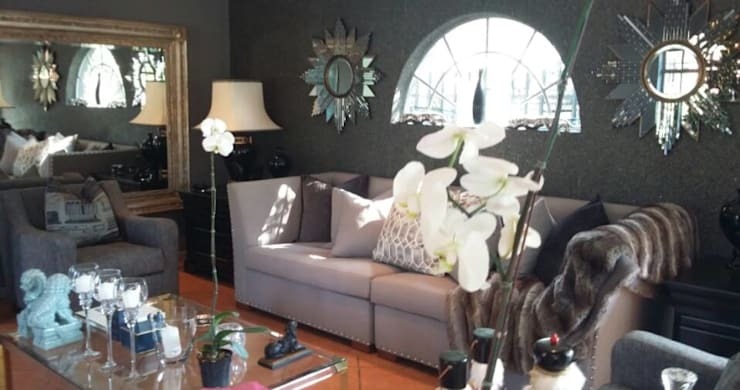 The home has a few windows, which expertly incorporate natural sunlight into the decor, while the white orchids add a luxurious and opulent effect of style and elegance to this interior. This modern home has an open plan living and dining room. But, that doesn't mean that the home isn't stylish and filled with fantastic features. 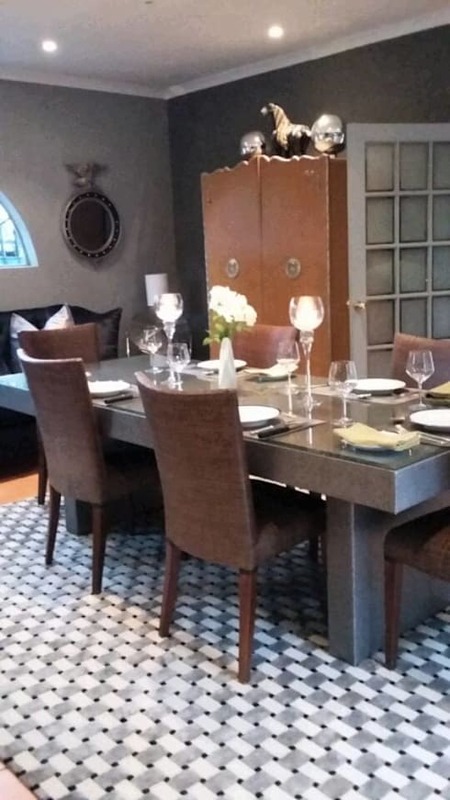 The dining room is a great place to entertain family and friends over a great meal in the comfort of your home. The neutral decor, lovely lighting and fantastic accessories makes this space attractive and aesthetically appealing. There's nothing quite as satisfying as jumping into a beautiful pool on a hot summer day. 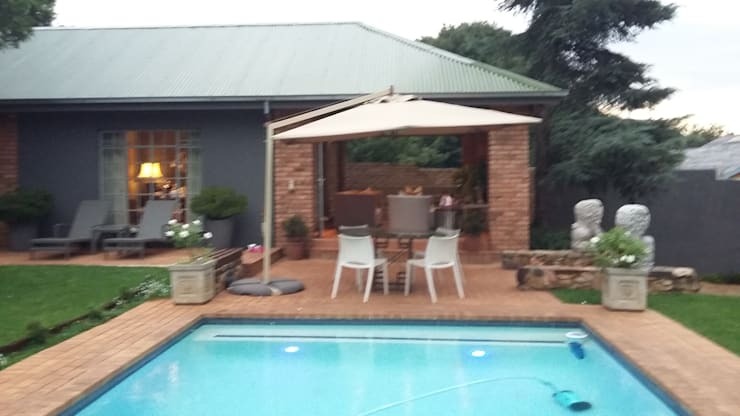 This pool is perfect for the South African home as it allows for plenty of socialising too. A braai is a summer must for any South African family, and with the holiday season approaching, you might want to start loading up on those wood stacks because it's going to be a scorcher. We may have come to the end of this Ideabook, but here are: 11 highly affordable pool ideas that don't require any digging! 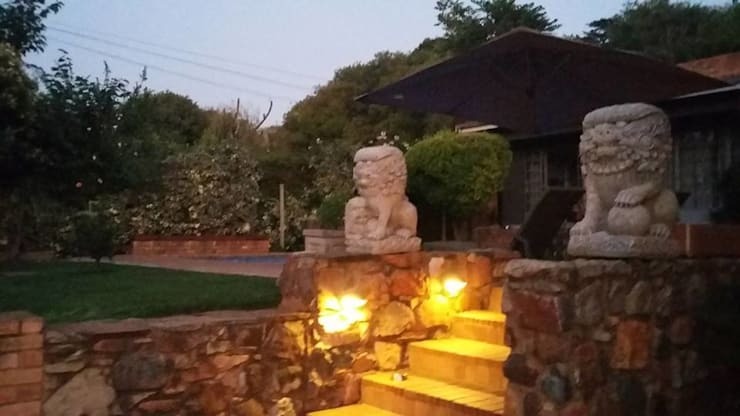 Would you like to live in this proudly South African home?